As Freddie Mac Chief Economist, Khater leads a talented team of researchers in providing insights and analysis on economic trends and policy issues affecting Freddie Mac and the housing market. Khater arrives at Freddie Mac after 11 years at CoreLogic, where he most recently served as vice president of research and deputy chief economist. His responsibilities included producing original research and advising clients, regulators, policymakers and investors on real estate and mortgage market trends. As a compelling spokesperson with a unique ability to translate complicated subjects, he is regularly quoted in national, local and real estate trade media outlets. Prior to joining CoreLogic, Khater was a senior economist at Fannie Mae and an economist at the National Association of Realtors®. 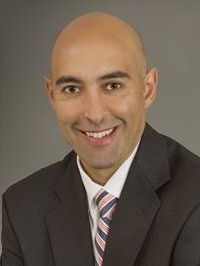 Khater holds a master’s degree in network economics from Georgetown University and a bachelor’s degree in economics and finance from George Mason University.